Leslie Wilton Andrew was born at Ashurst between Woodville and Palmerston North in the Manawatu on 23 March 1897. He grew up in Wanganui, where his father was a headmaster. He attended both Wanganui Boys' High School and Wanganui Collegiate before starting work with the Railways Department as a clerk. He married Bessie M. BALL, daughter of T. Ball, Brinsley, Nottinghamshire, England. They had two daughters and two sons. He joined up on 26 October 1915 when, in common with a lot of other young men at the time, he advanced his age to 20 in order to ensure that he could serve overseas. A member of the 12th Reinforcements, he sailed on 1 May 1916. 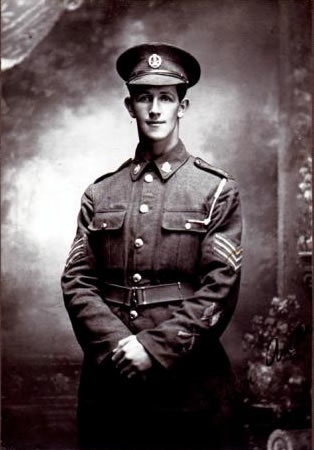 In France he joined B Company, Wellington Infantry Battalion. Just days after his arrival he was wounded in the fighting at The Somme. Following the success of the June 1917 attack on Messines Ridge and the dislodgement of the Germans from positions that looked down on Allied lines, fighting in the area continued as the Germans attacked and the Allies consolidated their gains. On July 26 1917, some seven weeks after the Battle of Messines, New Zealand forces had taken the tiny village of La Basseville just a few kilometres southwest of Messines. They had suffered serious casualties, however, many resulting from fire from a German machine-gun position in a two-storey inn. This machine-gun post had also stopped the New Zealanders effectively securing the gains they had made. The next day the Germans re-took the village. On July 31 the British launched another attack, which included the Second Wellington and First Auckland battalions at La Basseville. The Wellington men were to take the village and move some 500 metres further to clear an additional area and establish positions there. 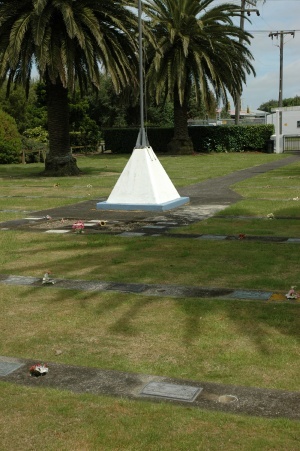 The Aucklands were to hit German defences. The artillery barrage began and shortly before 4 am the New Zealanders began advancing behind it. Leslie Andrew was leading two sections with the express task of destroying the machine-gun position in the inn. However, as they moved forward behind the barrage they noticed another machine-gun emplacement on the nearby railway line which was holding up other New Zealand troops. They diverted, captured it, and then ran to catch up with the creeping barrage. As they approached the inn, they pushed through their own barrage and headed for their objective which was firing continuously. Leslie Andrew mad a decision to approach the inn from a different route in order to avoid being spotted. This they did, famously crawling their way through thistles. They threw in their Mills bombs and then rushed the position, killing some of the Germans and capturing the gun. 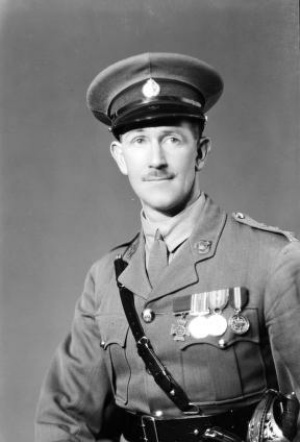 While his men withdrew with the captured gun, Leslie Andrew and a Private L. R. Ritchie moved some 300 metres further forward towards the town of Warneton and to the limits of the barrage in order to scout out the area. At Der Rooster Cabaret they found some of the Germans ensconced in the cellar as well as a machine-gun in a trench. The two men rushed the position, throwing Mills bombs and clearing it before finally returning to their company. "When in charge of a small party in an attack on the enemy's position at La Basses-Ville, France, on July 31, 1917, his objective was a machine-gun post which had been located in an isolated building. On leading his men forward he encountered unexpectedly a machine-gun post which was holding up the advance of another company. He immediately attacked, capturing the machine-gun and killing several of the crew. He then continued the attack on the machine-gun post which had been his original objective. He displayed great skill and determination in his disposition, finally capturing the post, killing several of the crew and putting the remainder to flight. Corporal Andrew's conduct throughout was un-exampled for cool daring, initiative and fine leadership, and his magnificent example was a great stimulant to his comrades." Portrait of Lieutenant Leslie W. Andrew VC in 1920, by the noted portrait artist H. Linley Richardson. 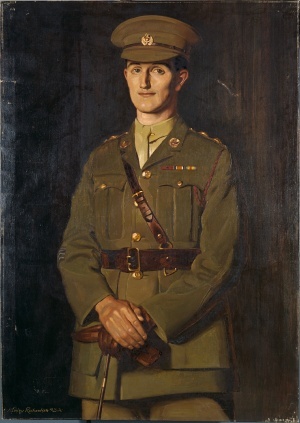 Portrait in the War Art Collection of Archives NZ. A day after the attack at La Basseville, L.W. Andrew was promoted to sergeant and by March the next year he was an officer. In October 1918 his service came to an end. Back in New Zealand, he was discharged on 21 October 1919, but applied successfully for an officer's commission and held a number of posts, including Lieutenant Adjutant of the Taranaki Rifles, from 1920 to 1923. During his time in Taranaki, he joined the Legion of Frontiersmen. He also undertook a two year exchange with the Indian Army in 1927-1929. Together with Samuel Frickleton VC, he was in New Zealand's 1937 Coronation Contingent in London. A formal photograph of L.W. 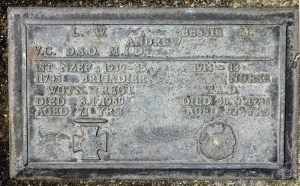 Andrew VC at about the same date. 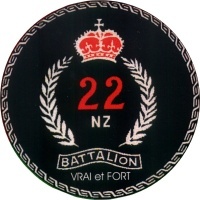 Officers selected for the 22 (Wellington) Battalion assembled at Trentham on 8 November 1939, the NCOs arriving on 9 December 1939. The men were sent home for Christmas. When they arrived back at Trentham on 10 January 1940 they met the new CO - Major Andrew - for the first time. 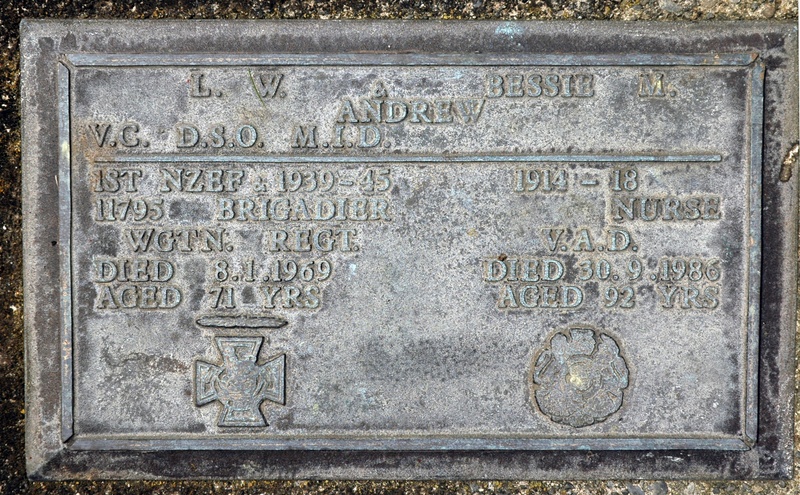 Andrew was one of a small number of officers still remaining in the New Zealand Army, so was nominated to be the Commanding Officer for the new 22nd Battalion. He did not actually take up this position until it had been confirmed by General Freyberg after he had arrived in New Zealand to take charge of the 2NZEF. The first troops arrived at Trentham on 12 January 1940 and the 22nd Battalion came into being. L.W. Andrew was promoted to temporary Lt-Colonel on 29 January 1940, a rank later confirmed. Lt-Col Andrew sailed with the Battalion on 2 May 1940 on transport HMT X3, finally arriving in Greenock, UK on 18 June 1940. The Battalion sailed for Egypt on HMT J24 on 4 January 1941, arriving in Tewfik on 5 March 1941, then on to Helwan Camp the next day. The Battalion, under Lt-Col Andrew, saw its first action at Olympus Pass, Greece, on 14 April 1941. This action, the withdrawal from Greece and the splitting of the Battalion between Crete and Egypt is told elsewhere including the Official History, and through the War Diary. After their evacuation from Crete, the Battalion regrouped in Egypt, but were soon involved in the Desert Campaign. In late November 1941 the Battalion as part of the 5th Infantry Brigade were at Menastir, when Brigade Headquarters was over-run and captured. For his leadership in the following days, LtCol Andrew was awarded the Dinguished Service Order (DSO). "For outstanding skill and leadership over the very difficult period 25th November to 9th December 1941. The Headquarters 5th NZ Infantry Brigade and attached troops were captured and taken to Bardia on 25th November 1941. This was not known for certain for approximately thirty six hours. Lieutenant Colonel Andrew's Battalion was then at Menastir and he tried by all means possible to contact his Brigade and other units. However despatch riders failed to return and no contact by wireless could be made. Until the 1st December his Battalion continued to carry on their job at Menastir when food and water ran short and ammunition supply was very low. Lieutenant Colonel Andrew decided the only thing to do was to take his Battalion and join up with the Indian Division near the Omars. So on the night of the 1st December the Battalion formed up on the escarpment, arriving at Omars at 0400hrs and contacted Indian Division who gave Lieutenant Colonel Andrew orders to proceed to Musaid and form a new Brigade Headquarters with himself in command and his Battalion was to strengthen up the line Sollum-Capuzzo. These orders were successfully carried out. On 3rd December the Brigade was ordered to Menastir to occupy the line previously held by the 22nd Battalion, handing over to the Indians. At Menastir the Brigade defeated several heavy attacks by Germans, inflicting extremely heavy losses on the enemy. After 3 days the Brigade was ordered back to take over Sollum-Capuzzo. Owing to the position of the enemy this had now become a more difficult move and the only track from below the escarpment was very narrow and blasting by the Engineers had been going on for three days to make it possible for the transport. However this was successfully accomplished and the Sollum-Capuzzo line taken over again. 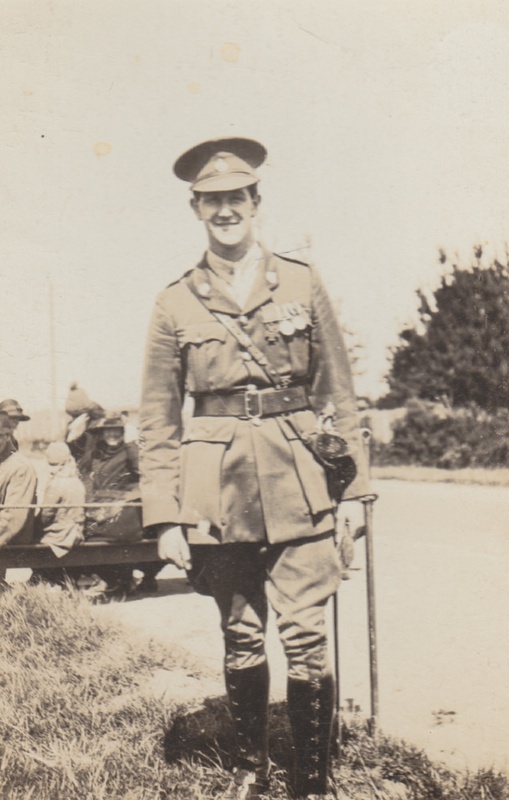 During this period Lieutenant Colonel Andrew showed outstanding courage, skill and leadership and owing to his efforts the Brigade was brought through a very difficult fourteen days. He handed over the Brigade on 9th December." Following the disaster on Crete, Lt-Col Andrew, together with a number of other senior officers, became embroiled in the controversy that still surrounds the Battle. L.W. 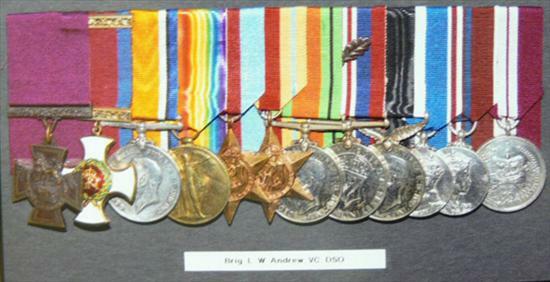 Andrew remained with the 22nd Battalion to serve in the early phases of the North Africa Campaign. 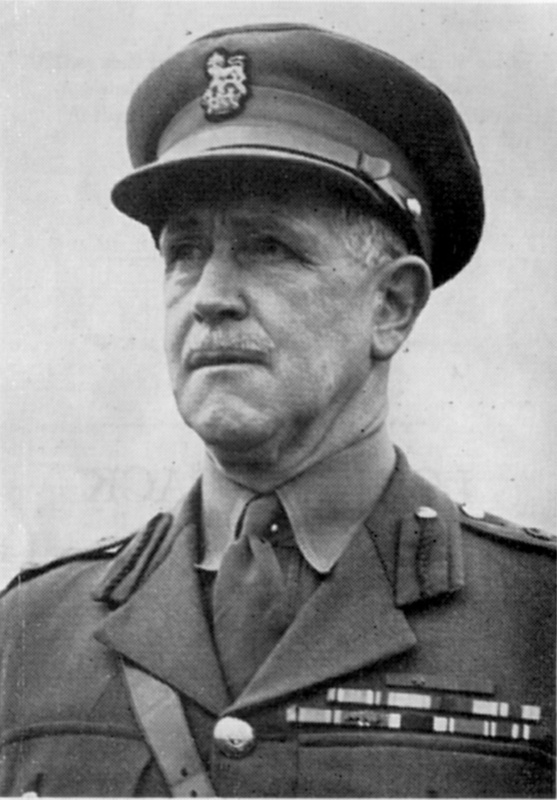 He relinquished command of the Battalion on 3 February 1942, (a significant date given his nickname was "Old February" for his tendency to give 28 days punishment for various misdemeanors) and returned to New Zealand, where he was promoted to Colonel and took command of the Wellington Fortress Area and undertook various training commands. Colonel Andrew commanded the 1946 Victory Contingent in London. He was promoted to Brigadier and retired in 1952. 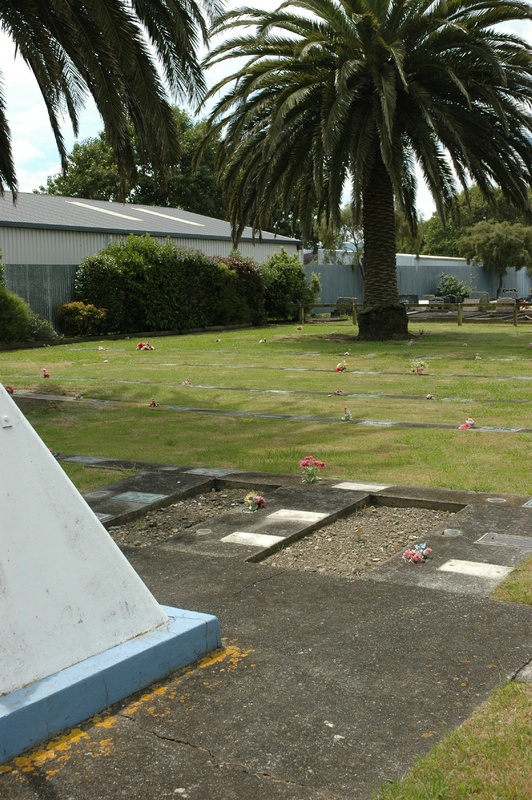 Leslie Wilton Andrew died on 8 January 1969, aged 71, and is buried at the Levin RSA Cemetery. 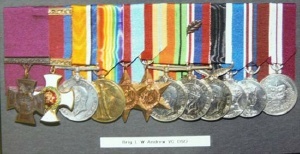 His Victoria Cross and other medals are held at the New Zealand Army Museum, Waiouru. View of the Levin Cemetery, looking from the entrance gate, past the flagpole towards the Andrew grave.